Mexican tortillas. A traditional Mexican staple. It’s a type of soft, thin flatbread made from finely ground wheat flour or corn from Mexico. According to Maya legend, tortillas were invented by a peasant for his hungry king in ancient times. The first tortillas discovered, which date back to approximately 10,000 BC, were made of native maize with dried corn kernels. The Aztecs used a lot of maize, both eaten straight from the cob and in recipes. They ground the maize, and used the cornmeal to make a dough called masa. In the 16th century, Spaniards led by Hernán Cortés arrived in Mexico and found that the inhabitants made flat maize bread. The native Nahuatl name for this was tlaxcalli. It was later given the name tortilla (little cake) by the Spanish. Mexican Tortillas are commonly eaten with meat, mashed potatoes, cheese and other ingredients to make dishes such as tacos, quesadillas and burritos. 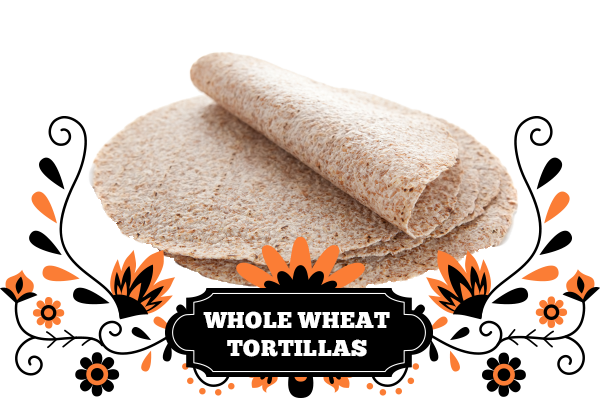 We carry a large range of tortillas including sweet, wholemeal, yellow and white corn and flour. 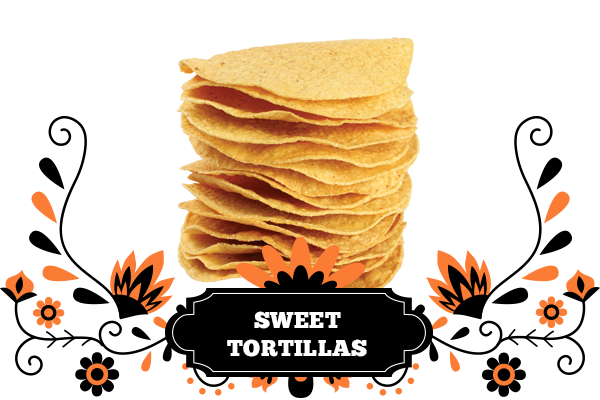 Corn tortillas are gluten free and offer a delicious corn taste! We stock three major types of corn tortillas – white, yellow and blue! White corn tortillas tend to be softer with a more tender texture. They also have a higher moisture content, which makes them more pliable and flexible for wraps and burritos. These corn tortillas can be easily rolled and folded without cracking or breaking, which is ideal for enchiladas and flautas. 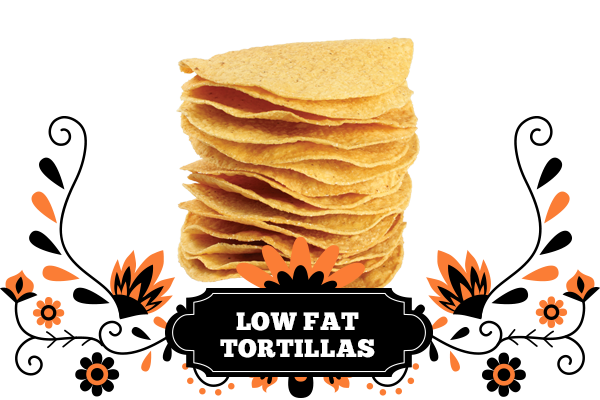 Yellow corn tortillas, tend to be slightly thinner than their white counterpart. They also tend to be more coarsely textured. Because of their lower moisture content, they aren’t as pliable and are more likely to crack when rolled. Yellow corn tortillas do their best work when used for tacos, tostadas, and frying into chips. 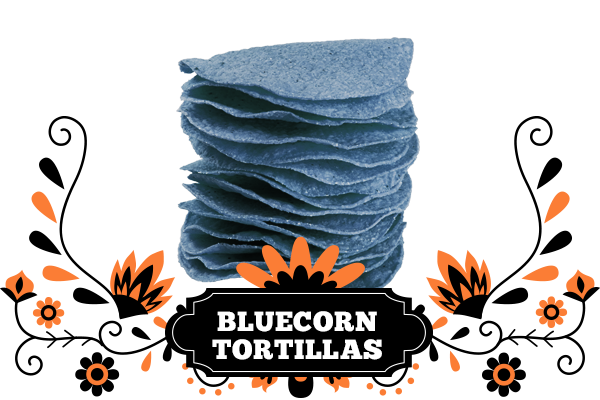 Blue corn tortillas to have a lower glycaemic index, meaning all the good sugars are absorbed by your body slower, offering a steady source of energy! This is good news for diabetics and those wanting to watch their sugar intake. They still have that delicious corn taste with an unusual blue colour. 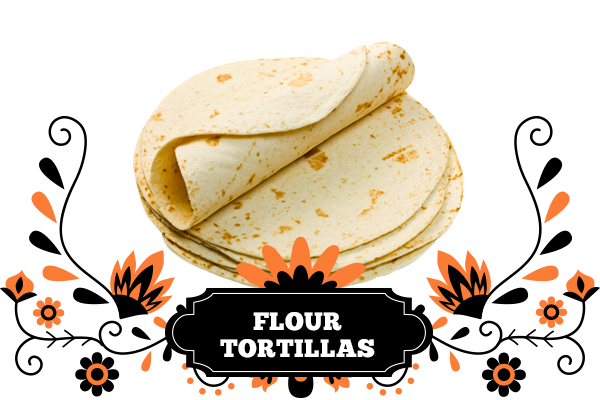 Flour tortillas tend to be soft and taste similar to other flour based breads. However, they contain gluten and are not suitable for coeliac! 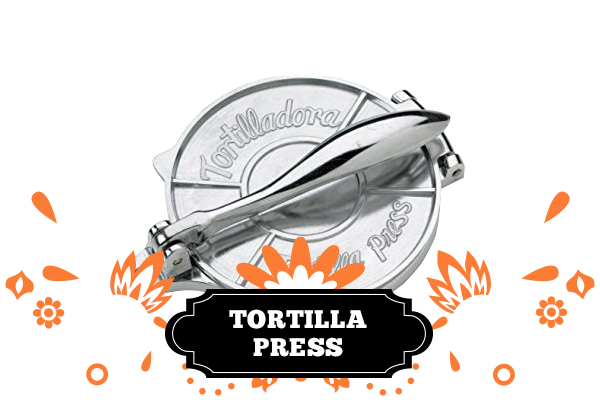 Browse our range of Mexican Tortillas today! 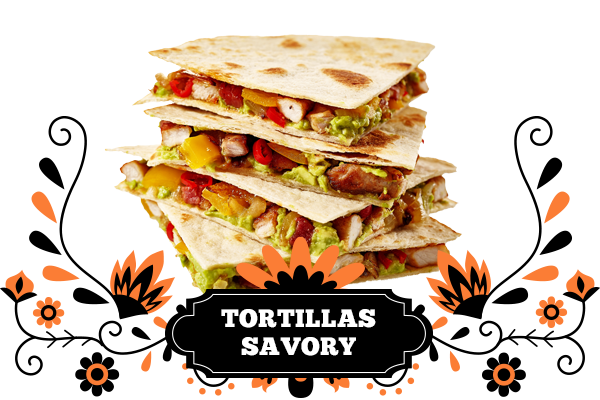 Please Note: All of our tortillas are frozen to preserve freshness and taste. Please contact us to purchase tortillas from our store.